The term “Joseph Hearing” is often heard in the discussion of immigration bonds. Several immigrants who are brought into ICE (Immigration and Customs Enforcement) custody, are issued a bond, while several others need to fight for it even though they have the permission to receive it. The name comes from an Immigration Appeals precedent called Matter of Joseph, 22 I&N Dec. 660 (BIA 1999). A Joseph Hearing can be defined as a special appearance before the immigration judge. The purpose of this appearance is to establish whether or not an individual should be issued a compulsory detention owing to a criminal sentence. According to courts, when an immigrant belongs to a group of individuals subject to compulsory detention, the immigration judge has no right or power to offer a bond to the immigrant. At the Joseph Hearing, the immigrant is given the responsibility or task of proving that he/she does not belong to the group of individuals that is prohibited from receiving a bond from the immigration judge. In these proceedings, the Department of Homeland Security, representative of the U.S. Government, will try and prevent bond release. Therefore, it is crucial to convince the judge that the INA (Immigration and Nationality Act) challenge is valid. Preparing for Joseph Hearing could be a highly time consuming and comprehensive task based on the charge against the immigrant. During the Joseph Hearing proceedings, the immigrant’s lawyer will put forth an argument. This is usually a brief submitted prior to the official hearing date. It is also presented as a verbal argument before the immigration judge in the court. It is important to note that a written document stating the argument is critical, especially if the case involves federal and state interpretations of the conviction. Various arguments will be presented by the immigrant’s attorney for proving that the criminal act for which the individual has been charged isn’t an offense that could subject them to a compulsory detention. The hearing could involve legal arguments around how state crimes fail to fall within the crime definitions stated under the INA section 236(c), that is, the compulsory detention section. 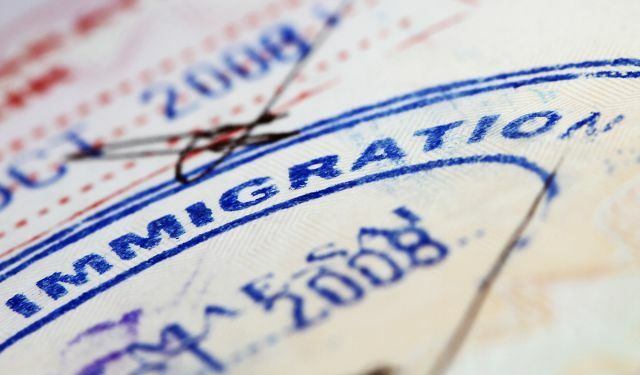 In a majority of the cases, the immigration judge would consider the danger presented by the alien to the public as well as the risk that they would fail to make an appearance at the following court hearing if released. This will be measured against the favorable case factors, such as family relationships or acts committed by the alien that indicates his/her good public character.